An anchor of Chinese dinner is clear, hot soup. And I mean literally hot. Don’t bother to serve the soup if it is not boiling hot , it just doesn’t taste as good. 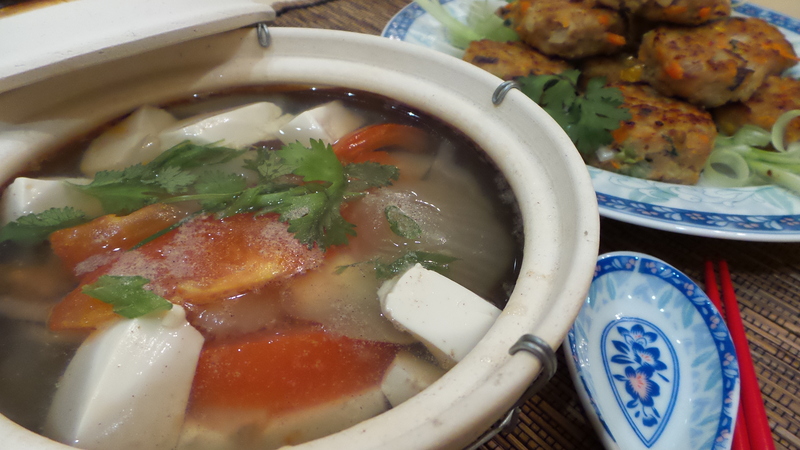 Making Chinese soup is easy with the slow cooker. 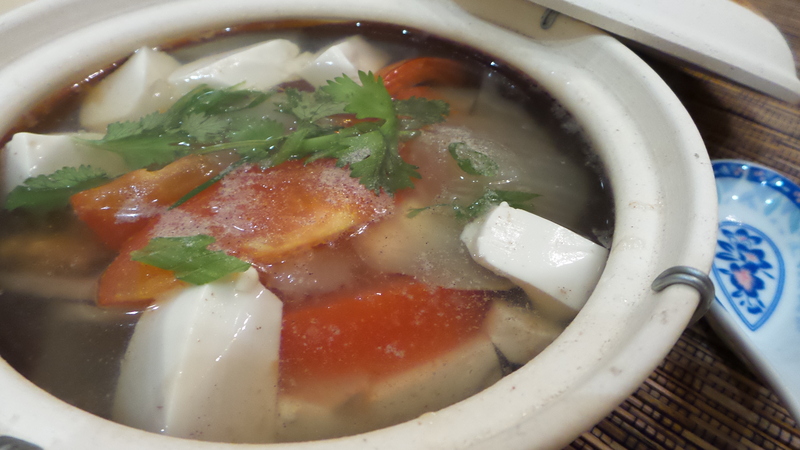 Our family favorite is Salted Vegetables Tofu Soup (酸菜豆腐汤). I believe this is a Teochew dish and the key ingredient is salted vegetable, sometimes known as pickled mustard. Teochew salted vegetable is both sour and salty and does not have a lot of leaves. You have to use only Teochew salted vegetables to get the authentic taste. The hot soup doesn’t get you in trouble, it will only warm your heart :). Remove the skin from the drumsticks and cook in boiling water for 5 minutes. Discard the water and transfer the drumsticks into the crock pot. Rinse the salted vegetable and cut into sections. Add to the chicken in the crock pot. Add 10 cups of boiling water. I usually set the crock pot to low in mid morning and let it cook for the rest of the day. It is ready by the time I get home in the evening. An hour before serving, set the crock pot to high. Add the cubed tofu, tomatoes, and pickled plums. Squeeze the plum before adding to the soup. I use the hour to prepare other dishes while the soup continues to cook. Soup is ready when it is boiling. Add salt if needed, I usually do not need to. Adjust to taste. Serve soup hot. Garnish with cilantro and a sprinkle of ground white pepper.